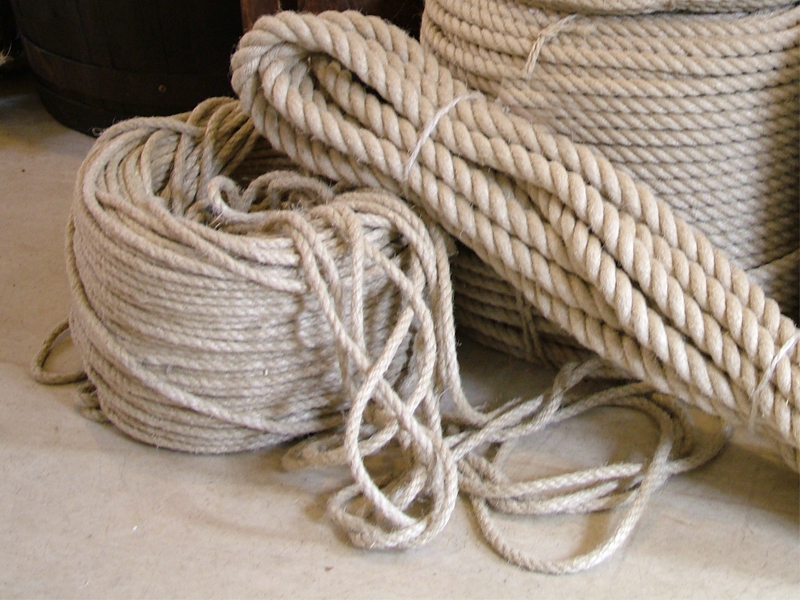 "Chatham Hemp" rope takes it’s name from our site and is still made on the Ropewalk for you today. It used to be made from hemp found in the Sativa plant but now made from the Flax plant, more commonly known as hemp or flax this 3 strand rope with its soft fibres and natural colour make it the perfect choice for Stair Banisters and Barrier ropes. Also great for making dog toys and parrot perches. 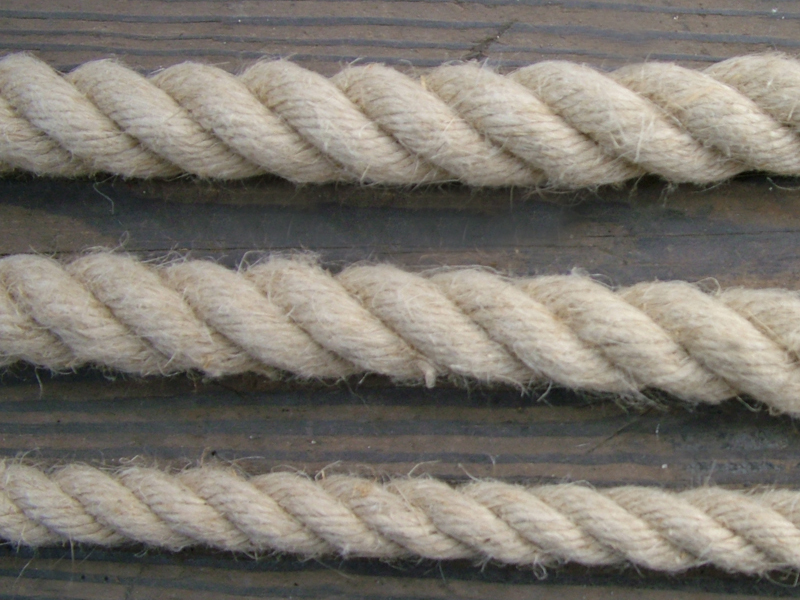 Our 4 strand Chatham Hemp is used as gymnasium ropes as friction burns are reduced.